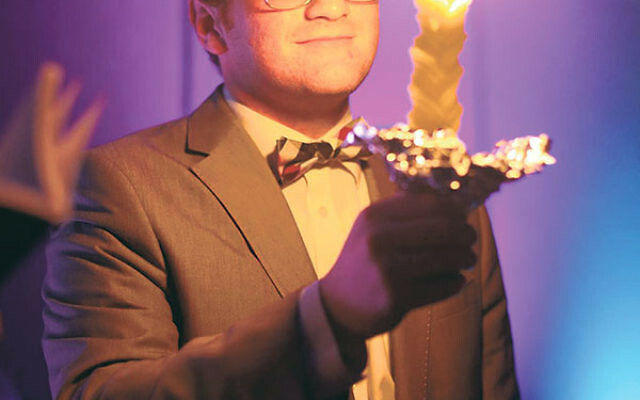 Elliot Englard celebrates Havdala at an NCSY spring regional convention held Memorial Day weekend in Stamford, Conn.
Elliott Englard of East Brunswick was one of nine high school students from around the country selected to receive the Sarah Rivkah and Dr. Bernard Lander zt”l Scholarship, presented jointly by Touro College and NCSY, the Orthodox Union’s international youth arm, and named in memory of Touro’s founding president and his wife. Touro offers scholarships to outstanding NCSY graduates who choose to attend one of Touro’s New York City colleges: Lander College for Men-Beis Medrash L’Talmud in Queens; Lander College for Women/The Anna Ruth and Mark Hasten School in Manhattan; and Lander College of Arts and Sciences in Brooklyn. 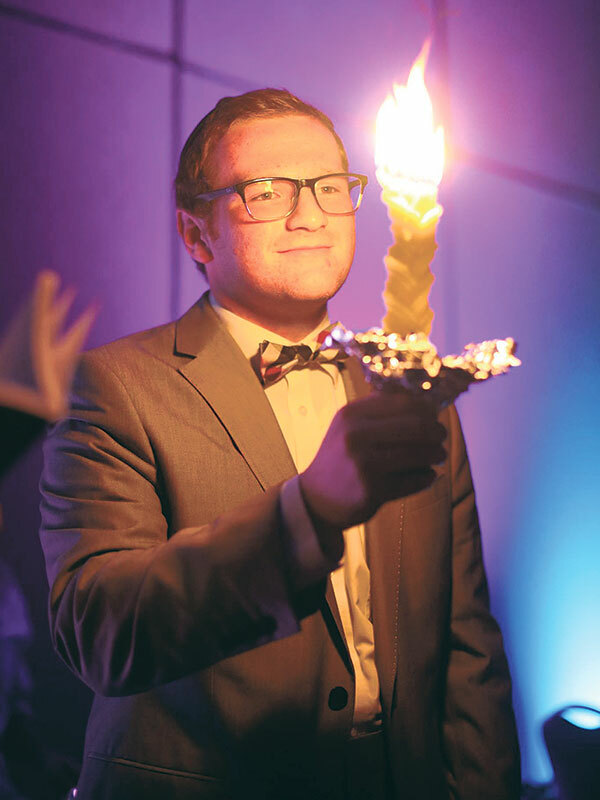 Eli plans on attending Yeshivat Yishrei Lev in Israel as part of the Touro College Israel Option program, prior to continuing at the Lander College for Men.